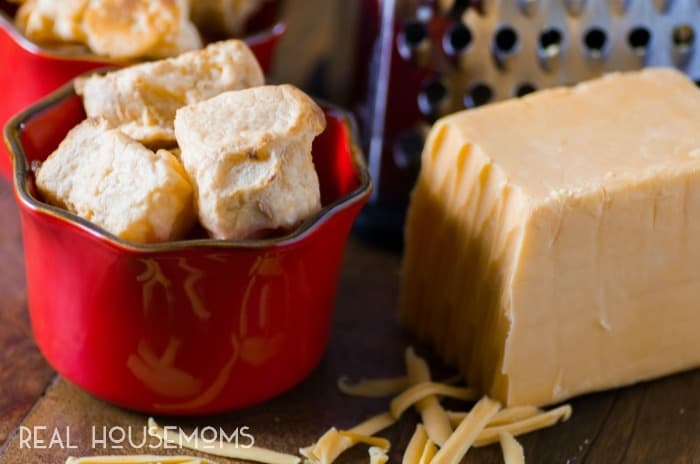 These Scrumptious Cheese Puffs are delicious hot out of the oven and are a great make ahead appetizer that you can have in the freezer ready and waiting for you! This recipe brings me way back. I remember making these Scrumptious Cheese Puffs more than 30 maybe 40 years ago. I just dated myself, but we can also say I was cooking when I was very young!! This is a recipe I no longer have but with research it came back to me. You need good quality crusty white bread for this recipe, don’t skimp on something else therefore they won’t be nearly as good. The spread on the outside is yummy with the soft bread on the inside. They don’t require anything special really! Common ingredients found in your grocery store. They are simple to pull together and freeze on a cookie sheet and then are placed in freezer bags for later use. I adore recipes like this, they are such a time saver when company is coming. They go from freezer to oven and then served. No dips or dressing are needed they are great on their own. 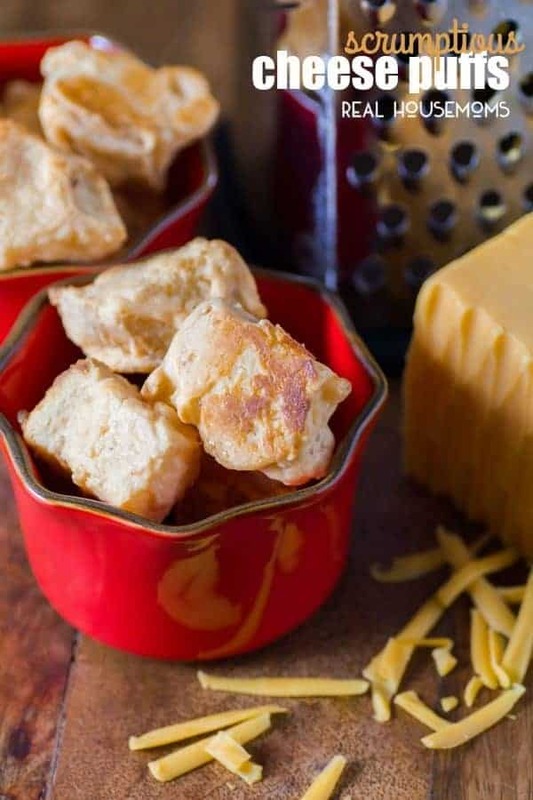 Bread cubes are slathered with a cheese spread. The recipe uses egg whites to give the cheese puffs a little lift and make them light and airy. They are a perfect one or two bite appetizer and will be gobbled down by everyone. You can always go back to the freezer for more and bake up a fresh batch. They are best hot out of the oven!! A light and fluffy cheese spread is wrapped around cubes of crusty bread and baked to a golden brown giving you Scrumptious Cheese Puffs. In a microwave safe dish add the butter, cream cheese and cheddar. On half power heat and stir alternatively until mixture is melted. Whip with a spoon to make sure it is well blended. Add cayenne, mustard, salt and pepper and stir to combine. Fold in the egg whites. Dunk bread cubes into the mixture and place on a wax paper lined sided cookie sheet. Freeze for 1 hour. Remove the cubes and place in a ziplock bag back in the freezer until ready to bake. When ready to serve, preheat the oven to 375F. Place frozen cheese puffs on a baking sheet lined with parchment or a baking mat and bake for 10 min., watching that they don't burn. Serve hot or at room temperature. 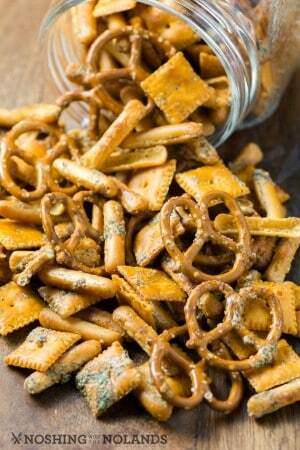 Another great make ahead and pop in the freezer recipe from Noshing With The Nolands is this Crowd Pleasing-Party Snack Mix. An easy “ready when you are” recipe that is frozen ahead of time and ready with a quick thaw for the holidays or game day!